Marcel Trigueiro - escritor: Thank you! I just want to thank all the readers for giving my ebook a chance and for downloading it during the free book promotion last weekend. 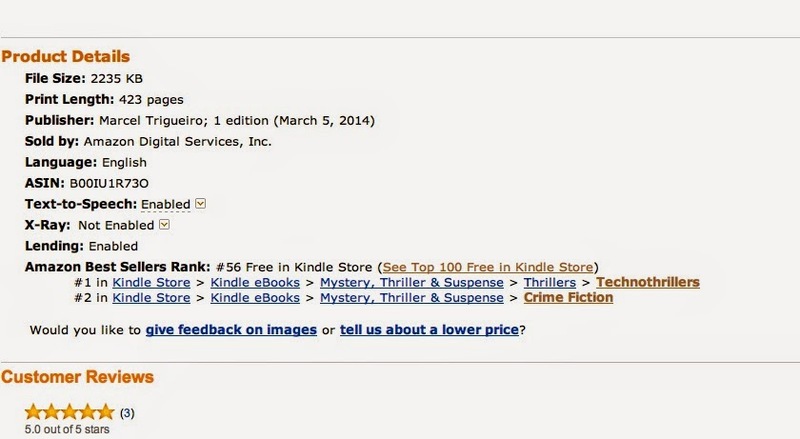 There were more than four thousand free downloads in two days, ranking The Next Target number one in the "technothrillers" list and number 56 in the top 100 free downloads list! As I said in previous posts, I kindly ask a review in return from those who come to read the free ebook.